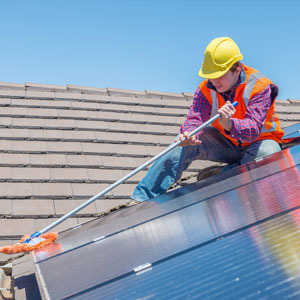 Solar panels require cleaning at regular intervals to maintain optimum performance. 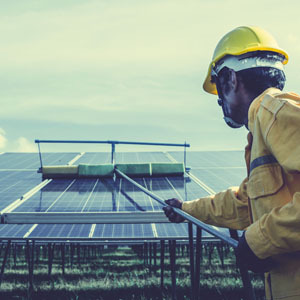 Dust, dirt, bird droppings and algae build up on the panels and do not simply wash away with rain, research has shown this can reduce the effectiveness by up to 50% in some cases. 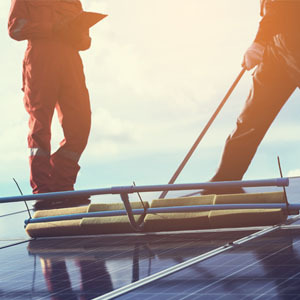 NRC are a professional cleaning company and we are fully equipped with qualified operatives and professional solar panel cleaning equipment, and can offer both commercial and domestic clients a value for money solution to maintaining their solar panels. In most cases our operators can clean from ground level using telescopic poles. 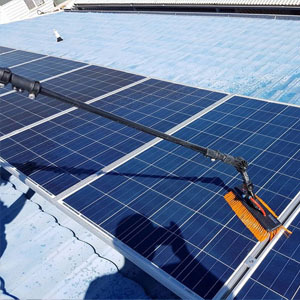 However if access is an issue all our operatives are IPAF license holders which means we can access panels in even the most inaccessible areas without the need to set foot on the roof by the use of mobile booms and scissor lifts.